A foreign student who wants to study in France will require a France student visa. France has different application procedures for student visas that depend on what course a student wants to pursue in France and what is the duration of the course. In order to apply for a France student visa, an applicant must have secured an unconditional offer of a place at one of the universities or recognized educational institutes in France. The short stay student visa is meant for those students who want to stay and study in France for a maximum period of 3 months. This visa is suitable for students who want to enrol in a language course or other short term courses. Students with a short stay visa do not require a residence card during their stay in France. Such a visa cannot be renewed and cannot be transformed into a long stay visa. This visa is also known as Schengen short stay visa. The student-examination visa is meant for those students who want to come to France to sit for an entrance examination in order to get admission into an institute of higher education. This visa is valid for a period of 90 days. In case the student succeeds in the entrance examination and gets enrolled in the educational institute, the student-examination visa will be converted to long stay visa. Such students will have to apply for a renewable residence card valid for one year. The temporary long stay student visa is meant for those students who want to stay and study in France for a period of 3 to 6 months. Students with a temporary long stay visa do not require a residence card during their stay in France. Such a visa cannot be renewed and cannot be transformed into a long stay student visa. The long stay student visa is meant for those students who want to stay and study in France for a period of more than 6 months. This visa is valid for the entire duration of the student’s study period in France. Generally, it is granted for a period of three years for a bachelor’s degree, two years for a master’s program and four years for a PhD. This visa also acts as the residence permit for the student during his or her period of stay in France. You must have been enrolled in an eligible academic program in an authorized and accredited educational institution in France. You must provide an official enrolment letter or an acceptance letter from the educational institution in France stating that you have been accepted for full-time study in their institution. The letter must also provide full details about you and complete details of your program of study, including the start and end dates of the academic program. You must provide proof that you have enough financial resources to pay for your expenses during your stay in France. At present, the amount required is EUR 615 (INR 47,747.55) per month. You can show proof of having the finance through your bank statement, a guarantor’s letter or funding by means of a loan, grant or scholarship. You must show a copy of an airline ticket or reservation that specifies the date of your departure from France or a handwritten statement by you that states your intended departure date. You must show proof of having medical insurance with a minimum cover of EUR 30,000 (INR 2,329,149.00) and it covers the period of your stay in France. You must provide proof of your accommodation during the period of your stay in France. In case you are staying on campus or student housing, then you will have to provide the confirmation letter from the university or college stating the details. If you’re staying with family or friends then you will need to get a certificate of board and lodging. You must show proof of your proficiency in French in case you are studying a French language course. 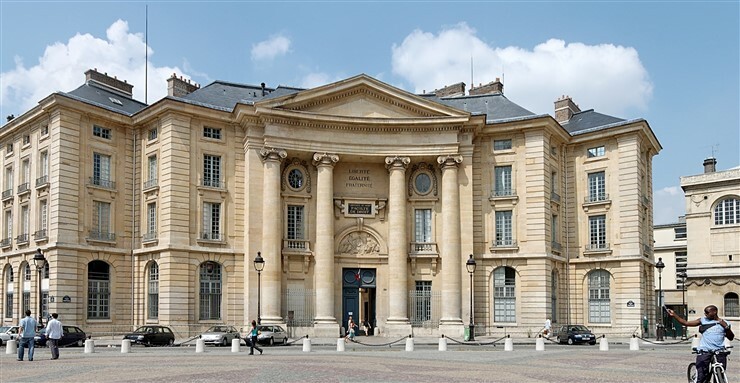 To obtain a France student visa, citizens of some countries need to first register online with the website of Campus France, http://www.inde.campusfrance.org/en. Please check with the website whether citizens of your country require getting registered with them first before they proceed with the other formalities of France student visa application. In case you do not need to register with Campus France, you can start from Step 9 of the below-mentioned procedure. You must also check the time required for the student visa application process to be completed. Once you are sure of these details, you can go ahead with the application procedure mentioned below. Log on to the http://www.inde.campusfrance.org/en. Create your account on the website of Campus France and register online. Fill up the account creation form that will open in the new window. After successful filling up of the form, you will get your unique Campus France Registration Number and your Username (ID) and Password. Log in to your Campus France Account using the given Username (ID) and Password. Follow the procedure to fill the Campus France Form. On completion of filling up of all details carefully, DO NOT CLICK ON “SAVE” button at the bottom of the page. Send your file to the assigned Campus France office in order to get it reviewed and to be able to request an appointment for an academic interview. Contact the nearest Campus France office and request an appointment for the academic interview via email or phone. You can also request for an appointment online. Appear in person for the academic interview with the Campus France advisor. Reach the venue on the scheduled date on time. During this interview, you will have to explain your reasons for selecting France and the institution where you took admission. Remember to carry all your documents along with you. Refer to Mandatory Documents to be sure about the essential documents that you need to carry with you. You need to have one set original and one set photocopies of all documents. You will also need to carry the Campus France fee payment. Refer to Fee Payment Procedure for Campus France. The photocopies of your documents will be verified against the originals. At the end of the interview, you will be provided with an Interview Completion Certificate from the Campus France Advisor. Your next step is to obtain the student visa application form for France. You can obtain it either from the Embassy or Consulate of France in your country or you can download the form from the internet. For a short stay student visa application you can download the Schengen Visa Form and for a long stay student visa application, you can download the Long Stay Visa Application Form. Fill out the details required in the visa application form carefully. Do not forget to put your signature on your application form. Prepare a check list of the documents that you need to submit along with your visa application form. Gather all the documents and keep them ready for submission. If you have registered and attended the academic interview conducted by Campus France, take the Interview Completion Certificate that you received from Campus France along with you when you go to submit the visa application form. Provide your recent colour photograph for the visa application. Remember that your photograph should match or correspond to all the required specifications for visa photographs. In any case, your photograph must not be more than 6 months old. You will need to submit two copies of your passport photograph along with the application form for visa. Check the fees required for your visa application and the mode of payment accepted at your local France Embassy or Consulate. Keep the fee ready for submission along with your visa application form. Fix an appointment at the France Embassy or Consulate to submit your student visa application. Remember that you have to register online to schedule an appointment. No appointment is given over phone or through internet. Submit your completed visa application form in person at the France Embassy or Consulate nearest to you, along with all the required documentation. After your visa is issued, you will be notified regarding the issuance. Collect your visa. Your application fee will not be refunded if your application for a student visa is refused or rejected for any reason. You must remember the following dos and don’ts while applying for France student visa. Fill the Short Stay or Long Stay visa application form depending on the length of your course. Apply for a student visa at least 8 weeks in advance of your planned travel date to allow enough time for the application procedure to be completed on time for you to join your course.